A recent Historic England project explores the less well-known parts of one of our most celebrated archaeological landscapes, the Stonehenge World Heritage Site. 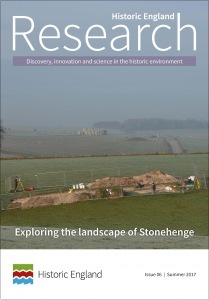 This Historic England Research issue focuses on enhancing our understanding and appreciated of the Stonehenge landscape. As recent findings at Durrington Walls and south of the A303 demonstrate, and despite this being one of the most intensively studied archaeological landscapes in the country, continuing investment in research is delivering important new insights and narratives. This, in turn, creates even greater public interest, engagement and enjoyment of a monument and landscape that continue to exercise an unparalleled hold on people's imagination. Paul Backhouse is Head of Imaging at Historic England.